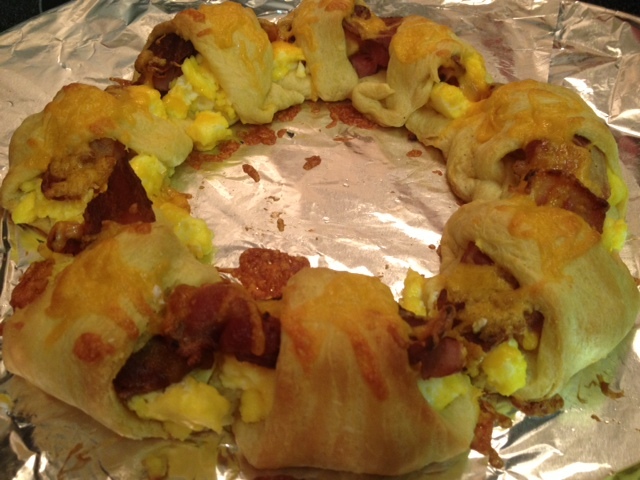 If you have ever have made a taco ring you would know that they are not only really easy to make but so much fun! There are always so many options when it comes to rings. Breakfast rings are also a family favorite in my home. My 1 year old even loves them! 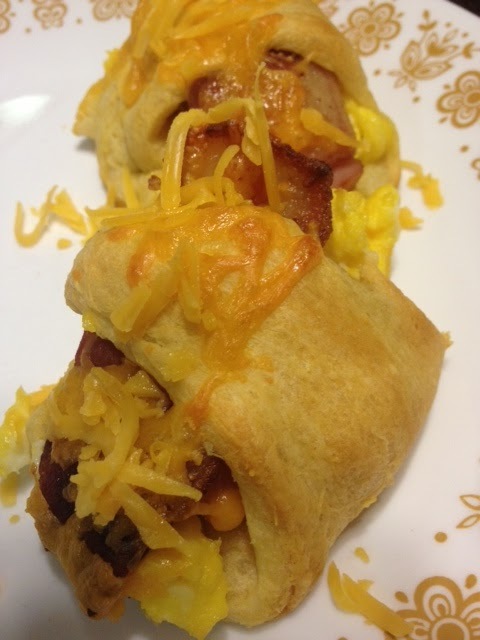 It is a ring at first but when pulled apart they become little breakfast sandwiches. In this ring I used bacon, ham, cheese, green pepper, and gravy for dipping sauce. Last time I sauteed onions along with the green peppers and used salsa for dipping sauce. The great thing with rings is that you can put anything you like inside! Use your creativity. That's the fun part! You cant possibly mess it up because it is inside a delicious crescent and everything is good on crescents. You can warm or brown ham on another skillet if you wish. - I began sauteing the green peppers in a small skillet while the bacon in cooking. - Scramble your eggs and cook them until done. have to). The wide edges should be on the inside. Layer the wide parts onto one another so they stick to each other while baking. 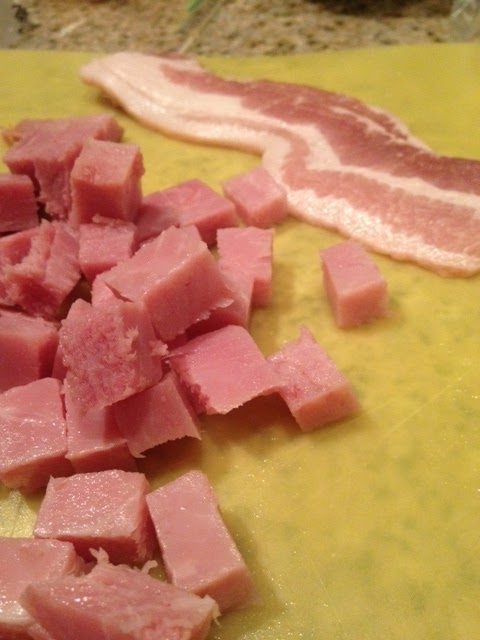 - Fold the pointy edges over top of the eggs and tuck under the wide edge. The end result should look like this. Sorry for the bad picture! Now just pull apart and eat!! It's so yummy! Serve with gravy, salsa, ketchup, whatever your family prefers! I never would have thought to have gravy for a dipping sauce with this! I love that idea!